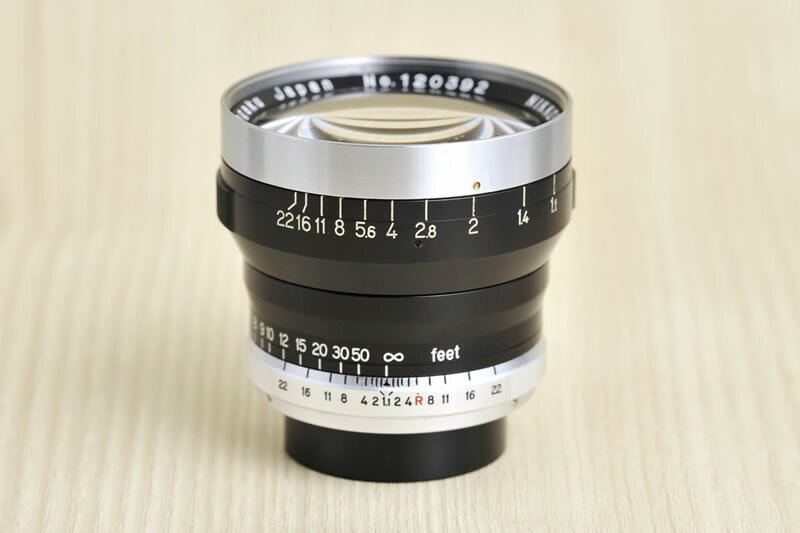 Once upon a period in the 1950s, several Japanese lens-making companies engaged in intense competition to strive for super-fast lens with extremely large aperture, aiming to make a significant breakthrough in the photography world. ZUNOW 50mm f/1.1, FUJINON 50mm f/1.2, Nippon Kogaku NIKKOR-N.C 50mm f/1.1 and Konishiroku (Konica’s predecessor) Hexanon 60mm f/1.2 were the four best Japanese lenses at that time. 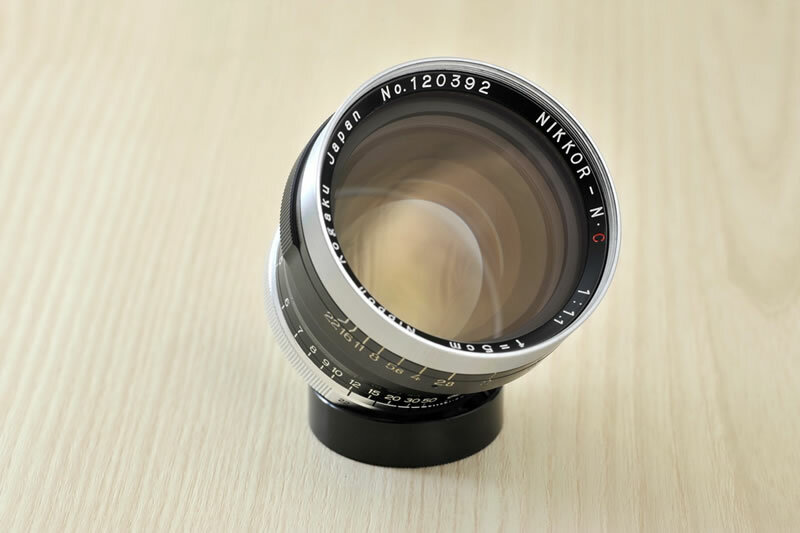 Nippon Kogaku NIKKOR-N.C 50mm f/1.1 released in 1956 was produced with rare amounts. It contains three versions, including original internal Nikon mount and external Nikon mount for Nikon rangefinders, as well as original Leica screw mount for Leica cameras. The third one is especially rare at an estimate of only less than 100 pieces, which is difficult to be found in market, making it an invaluable collection item. 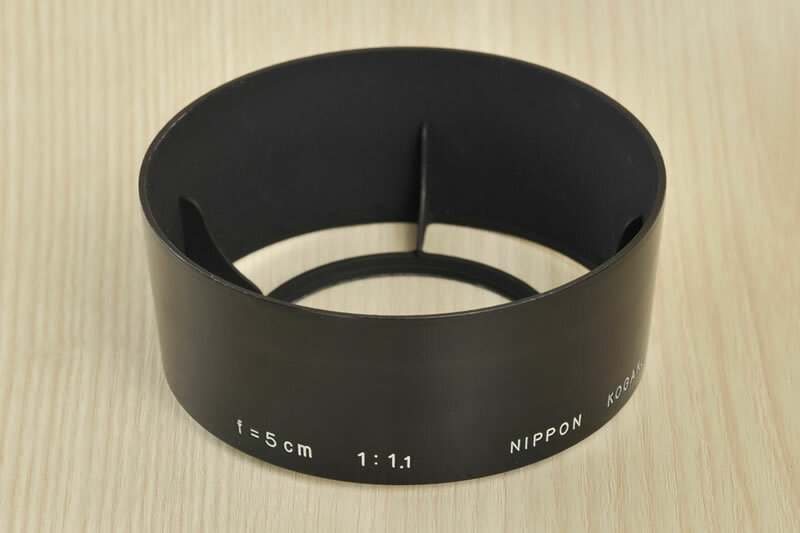 In contrast to the Nikon mount versions, the body of Nippon Kogaku NIKKOR-N.C 50mm f/1.1 Leica screw mount version is longer and shorter. The English letter “C” means that its glass surface consists of multi-coating, favourable in reducing light reflection and thus enhancing image quality. 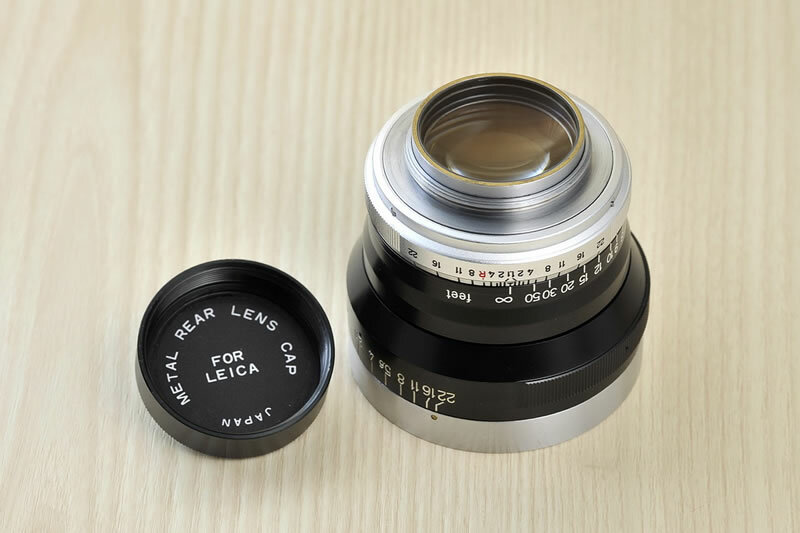 However, some Nikon mount versions and Leica screw mount versions do not consist of glass with multi-coating and it can be identified by the absence of English letter “C”. Except the above differences, Leica mount version and Nikon mount version share the same optical design and structure, designed by Murakami Saburo, a manager of Nikon Design Department at that time. 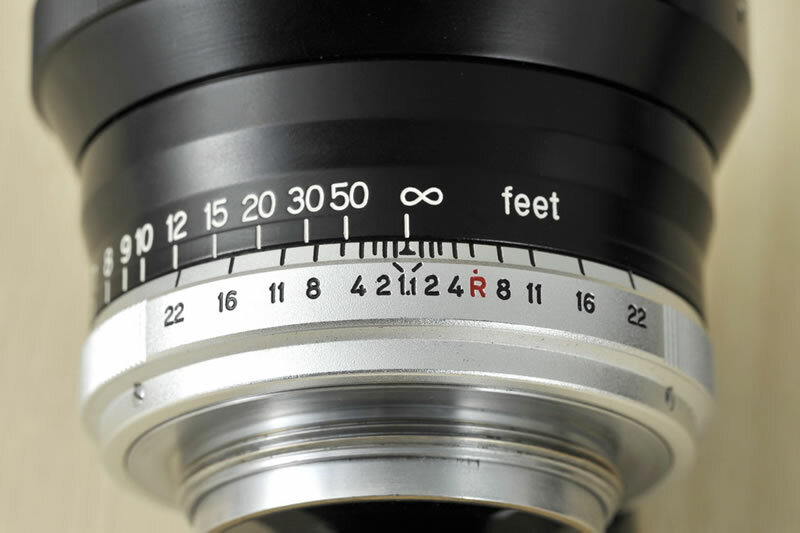 They possess an optical design of 9 elements (represented by English letter “N”) with three convex lenses made of the rare-earth element lanthanum glass, improving spherical aberration and image sharpness. Besides, the Gauss-type structure and symmetrical design lower distortion and enhance resolving power. Following ZUNOW 50mm f/1.1, Nippon Kogaku NIKKOR-N.C 50mm f/1.1 was the second lens in history faster than f/1.2. 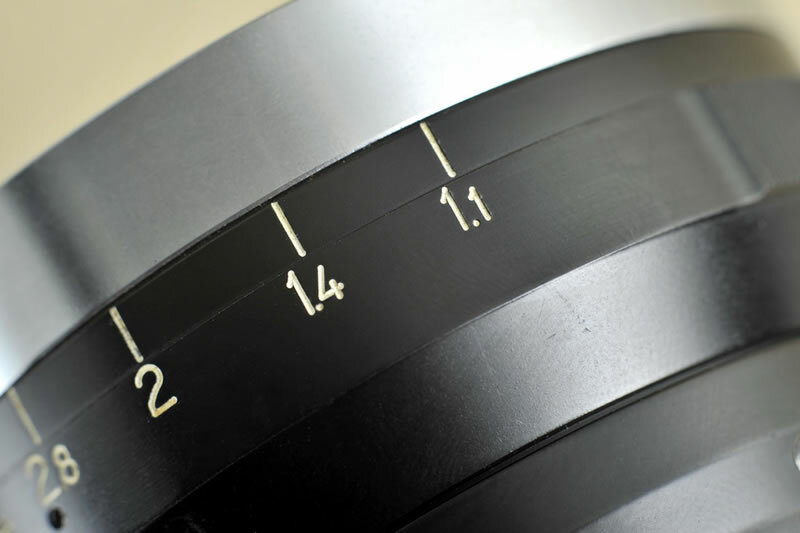 It recorded the history that Japanese lens-making companies competed to develop super-fast lenses. 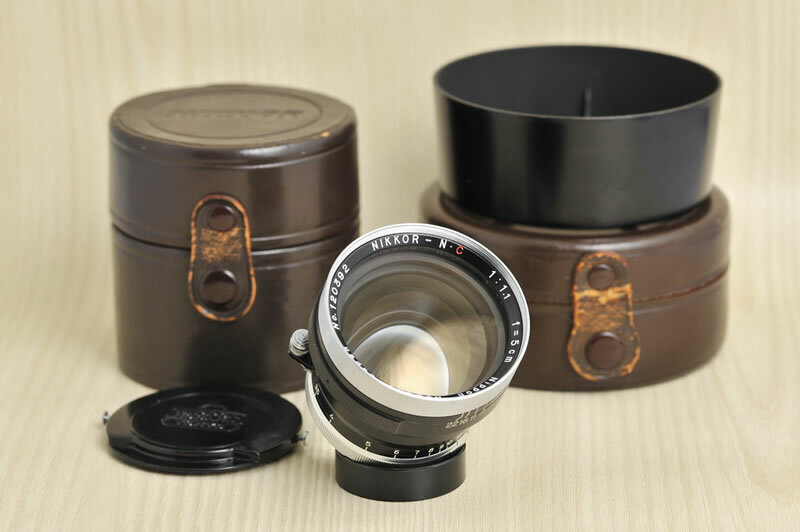 Most importantly, the Nippon Kogaku NIKKOR-N.C 50mm f/1.1 Leica mount version is very rare and invaluable. If you are lucky to find it, and if you are able to possess it, you would never be able to put it aside. There are two kinds of hoods produced specially for the lens, which are plastic and metal. The hoods are larger than any previous hoods for 50mm lenses. The plastic hood has a larger numbers of productions, but it is not strong enough leading it to be easily broken. Thus, the few amounts of plastic hoods that are unbroken in the market become very invaluable. In contrast, the metal hood has a small numbers of productions, but it is strong and not easily broken, making it to have a higher price than the plastic one. Apart from these two versions, Tom Abrahamsson specially produced 26 pieces of hoods made of aerospace aluminum alloy for Nippon Kogaku NIKKOR-N.C 50mm f/1.1 in 2003. As it was to celebrate the 20th anniversary of the Nikon Historical Society, the hood includes the wording “NIKON HISTORICAL SOCIETY”, and also “NIPPON KOGAKU TOKYO”. The 2003 hood is stronger than the original two versions. Overall, if the rare Nippon Kogaku NIKKOR-N.C 50mm f/1.1 Leica screw mount version matches with metal hood, it would be a valuable combination.